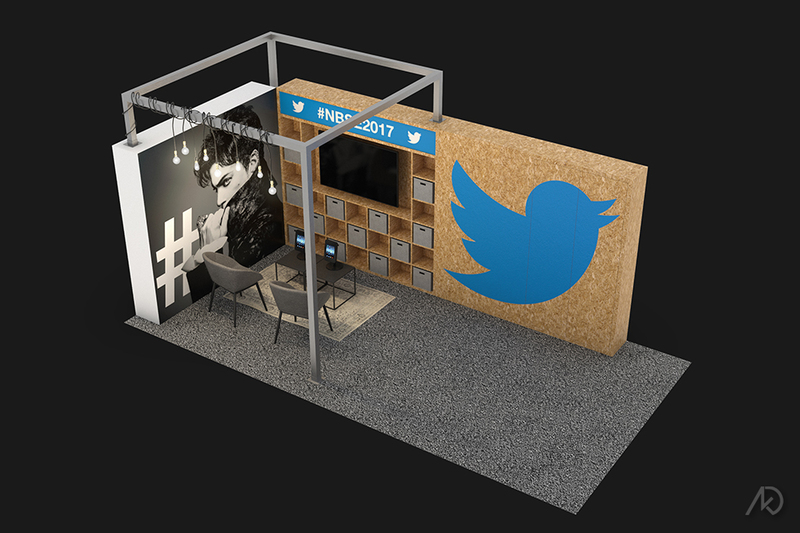 The following 3d illustrations showcase a design for a Twitter trade-show booth that will be used to recruit new hires. Due to the large success of the Twitter CES activation, Twitter Recruiting asked for a similar look and feel. The design takes all the best elements from the CES activation and makes them work in a 20′ x 10′ parcel (there was also a design for a 10′ x 10′ parcel). lounge vibe – a place to calmly discuss new work possibilities. There is a seating area with direct access to the displays and television. The raw OSB will be present along with a smaller version of the metal frame. 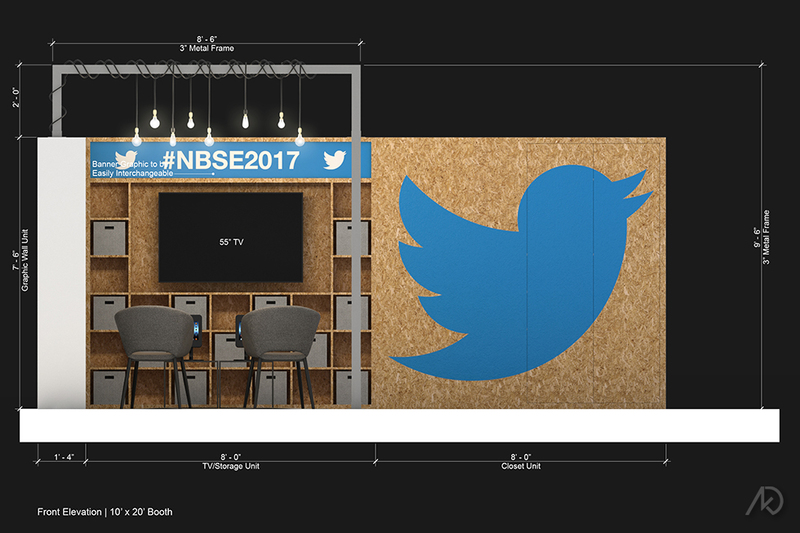 The large graphic walls are also represented as they will be able to swap-out the graphic (and the banner) for each new event. 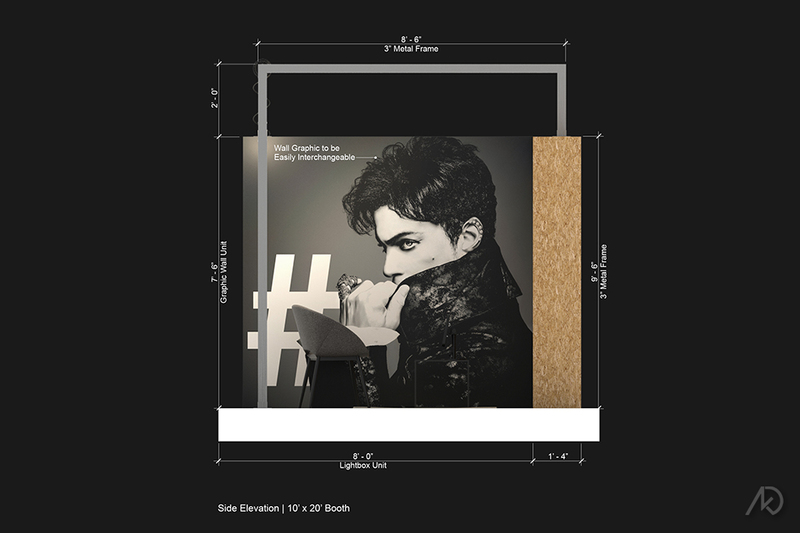 The overall design is made-up of three modular units, each measuring 8′ wide x 7′-6″ high. They are the graphic wall unit, the television/storage unit, and the closet unit. 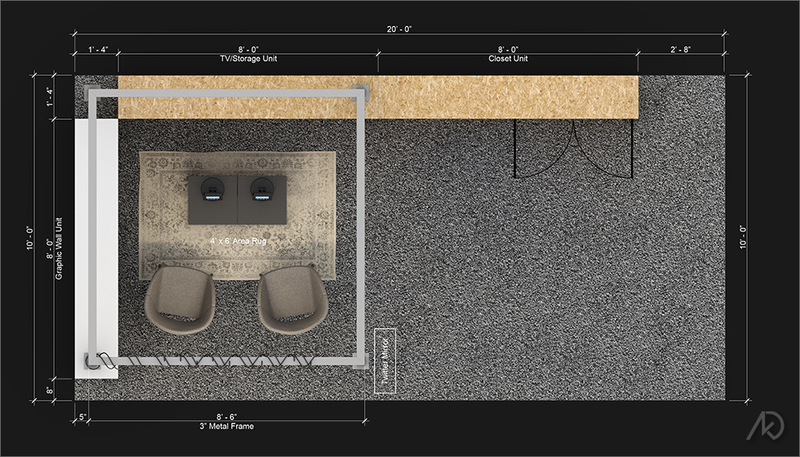 For the 10′ x 10′ version, the closet unit will disappear leaving the the two reaming units and the lounge furniture. light box, but was cut due to budget concerns. There is also a contingency plan to cut the closet and add a small cadenza if needed. For now the closet stays and provides much-needed storage for resumes, new hire information, and swag. 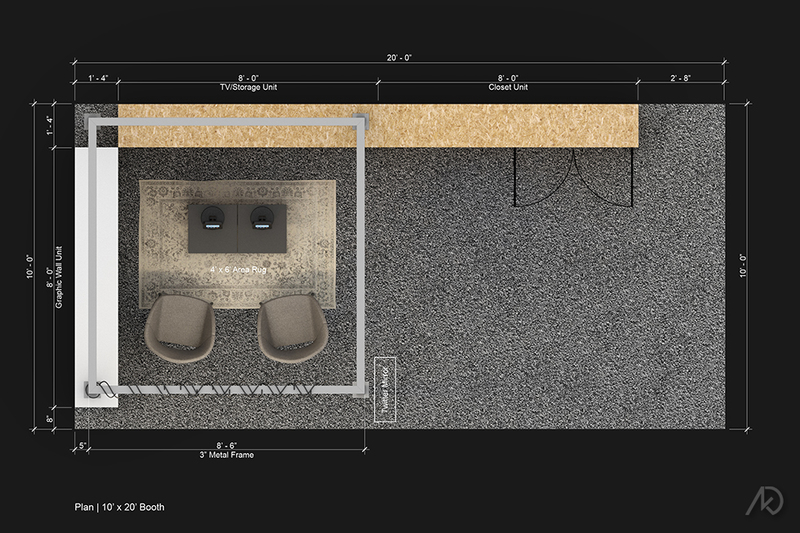 Within the lounge area, there will be two iPad stations in order to exchange information, etc.